It was some decades back when the fireplaces played the role of keeping the homes warm and cozy. Today, in the age of electric heaters, there is no more need of installing a huge fireplace in a home to keep it warm. However, the trend of installing fireplaces has recently made a comeback, not only for keeping the homes warm, but to add to the decor. The interior designers in Lahore and across Pakistan are making use of different types of ready-made as well as customized indoor fireplaces in their new home decor projects. The primary types of indoor fireplaces for homes include wood burning, gas burning, ethanol burning or electric fireplaces. Read below to find out more. Enclosed Fireplaces: These are not open and by making use of large glass panels they make the woods and fire visible. They are designed in a way that maximum amount of heat stays within the room instead of escaping up the chimney. Wood Burning Stoves: The wood burning stoves are a modern day alternative to the traditional indoor fireplaces. They allow you to burn the wood for heating purposes without requiring a fireplace. They can be seen in many luxury homes in Pakistan these days. Traditional Open Hearth: These fireplaces are the ones that have existed for centuries in the past. They are typically made out of bricks or stone. Gone are the days when you needed to bring wood to light up the fireplaces in your home. The modern-day technology has brought electric fireplaces into existence. These fireplaces are a cost effective solution for all the fireplace lovers out there. The best thing about these fireplaces is you can turn the heating function on or off while maintaining the fireplaces-like ambience at both times. Mantel Electric Fireplaces: The mantel electric fireplaces are made to mimic the wood burning fireplaces however they do not require any kind of vending or chimney access. 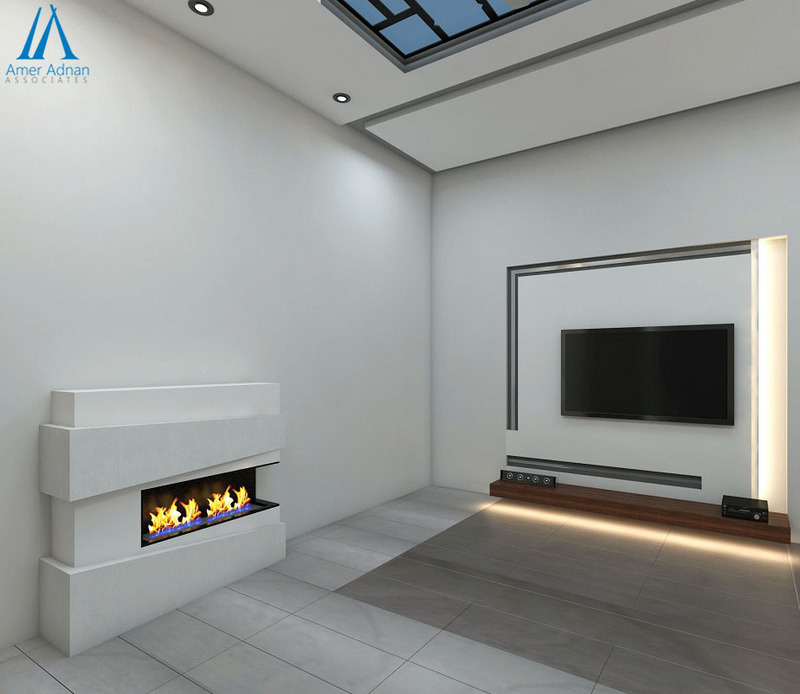 These electric fireplaces give you an opportunity to incorporate the elegance and tradition of mantel fireplace in any room across your home. Fireplace TV Stands: The fireplace TV stands are entertainment centers that is ready-made product for all those who want to combine two important products of home furnishing. The electric fireplace TV racks are best for smaller homes where space is always a concern. Apart from the two major types of fireplaces mentioned above, there are gas burning fireplaces that make use of gas to burn the woods and save a few bucks for you. The gas burning fireplaces include direct-vented built-in fireplaces as well as ventless built-in fireplaces. Besides, there are ethanol burning fireplaces that are quite easy to install and are available in different designs. These include wall-mounted fireplaces and tabletop fireplaces.